AS IT STANDS: In An Alternate Universe: Trump Unites All Americans! In An Alternate Universe: Trump Unites All Americans! 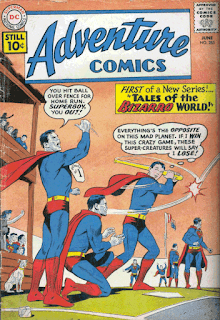 It occurred to me this morning, after liberal applications of coffee and cannabis, that the comic book I was looking at - the June 1961 Issue #280 Tales of the Bizarro World - answered my question about how Trump got a cult following. We're living in an alternate universe! As far as I can figure, the transition came the day Trump was sworn into office. I still remember the nearly universal shock when Trump lost the popular vote, but still won in the electoral college. The amount of shock, horror, disbelief, dread, mourning, and depression rocked American's world...and that's when it happened. The world we once knew was gone overnight. 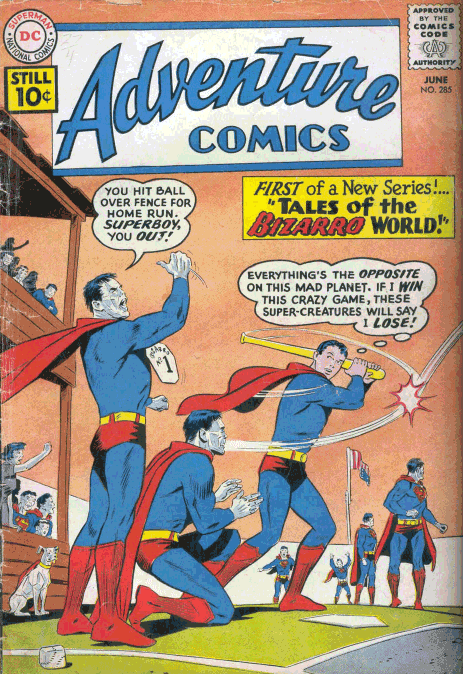 Replaced by a Bizarro World where everything was the opposite of what it should be. All norms, from laws to civility, were shattered and recycled by Trump and his minions. So, here we are. Victims stuck in an alternative universe until the 2020 elections roll around where Americans will have a chance to return to a reality more reflective of our society.